Reservoir Campground is appropriately named because it sits right on the shore of Wickiup Reservoir, one of the area’s most popular lakes. 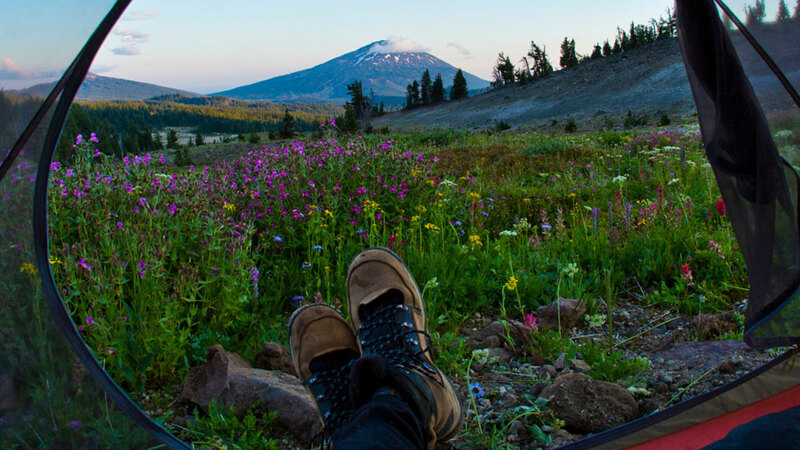 Located 60 miles southwest of Bend, Reservoir Campground has great bird watching, wonderful shady areas thanks to stands of large trees, swimming, and a number of water sports activities as the reservoir allows motorized boats. This is also a very popular place for fishing in the spring and summer, as the reservoir is filled with Brown trout, as well as Rainbow and Brook trout, kokanee, and Coho salmon, whitefish, and chub. Reservoir Campground is located on the south/westside of Wickiup Reservoir and is heavily used in the spring for fishing. There is a boat launch adjacent to the campground but launching a boat from this site is limited to when the water level is high. Reservoir Campground is made up of 24 individual sites and vault toilets serve the campground. The per night, per site fee is $10 for the first vehicle and $5 for each additional vehicle.